Celia Shortt Goodyear/Boulder City Review Boulder Dam Credit Union, 530 Avenue G, is one of several local businesses offering assistance to furloughed government employees. 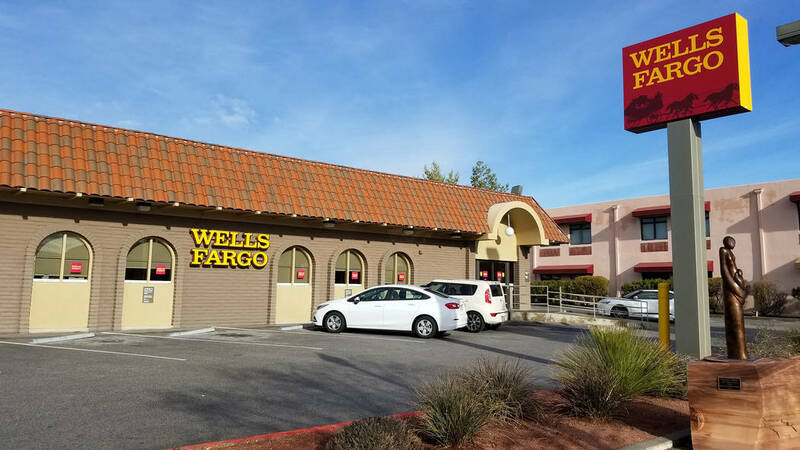 Celia Shortt Goodyear/Boulder City Review Wells Fargo, 412 Nevada Highway, is one of several local businesses offering assistance to furloughed government employees. ■ Emergency Aid of Boulder City, 600 Nevada Way, is helping government employees affected by the shutdown no matter their previous income. Treasurer Claudia Bridges said any furloughed employee who cannot pay their bills and comes to Emergency Aid can get help from the nonprofit organization. They also can sign up for the food pantry. ■ Boulder City Communications Manager Lisa LaPlante said the city always works with any customer who has a hard time paying their utility bills, including furloughed government employees. If help is needed, they should call 702-293-9244 to discuss their options. 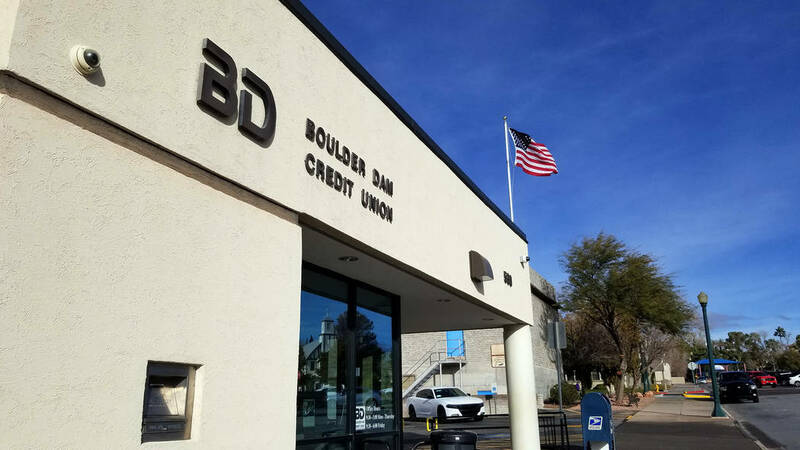 ■ Boulder Dam Credit Union, 530 Avenue G, is providing flexibility on loan payments, according to its president and CEO Eric Estes. He said credit union will work with any furloughed employees on a case-by-case basis and do everything they can to assist during this difficult time. “Loan payment extensions are one option, and all they have to do is contact our collections department for help,” he said. ■ Wells Fargo, 412 Nevada Way, will provide fee reversals and waivers. Wells Fargo will assess the individual needs of customers who are federal employees and impacted by the shutdown, and work with them to find solutions. Customers can call the newly established customer assistance line at 800-219-9739 or visit any Wells Fargo branch for assistance. Information is also available on the company’s website at the government shutdown assistance page, https://www.wellsfargo.com/help/government-shutdown. ■ Southwest Diner, 761 Nevada Highway, is offering a 50 percent discount to employees with a valid government ID. Owner Cindy Ford said she decided to do it because she wanted to help someone. Ford also said many people do not have two or three months worth of house payments and bills in the bank. “At one point in my life, I was there. … We are so blessed,” she said. ■ Vinny’s Pizzeria, 1632 Nevada Highway, is offering 50 percent off meals for government employees. They must show a valid government ID to receive the discount. ■ Creative Hair &Nails, 1001 Nevada Way Suite B, is offering 25 percent off salon services to furloughed federal employees and free haircuts to their children 18 and younger. ■ Ruben’s Wood Craft and Toys, 555 Hotel Plaza, is offering free painting and slime making, while supplies last, for all the families of employees who are not receiving a paycheck because of the shutdown. This will be available until the shutdown ends. ■ Rail Explorers Las Vegas, 601 Yucca St., is offering furloughed federal employees and their families a free ride. Federal contractors impacted by the shutdown may also ride for free. To make a reservation, call 877-833-8588. ■ Lola Devlin, co-owner of Tom Devlin’s Monster Museum at 1310 Boulder City Parkway, said furloughed employees can receive a 50 percent discount on admission to the museum. Their whole group can also receive the discount. Employees will need to show a valid government identification.